A pharmacy technician supports pharmacists by receiving, verifying, and preparing prescriptions for distribution. To assume this most crucial role, a technician must have the knowledge and skills to read and interpret medication orders, stock, and package medications, and dispense medications to patients. 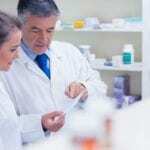 While technicians may receive and prepare medications for distribution, a pharmacist must check the order before it is dispensed to the patient. Technicians work in a wide variety of settings, including hospital pharmacies, emergency rooms, retail pharmacies, drug manufacturers, long-term care, and clinics. 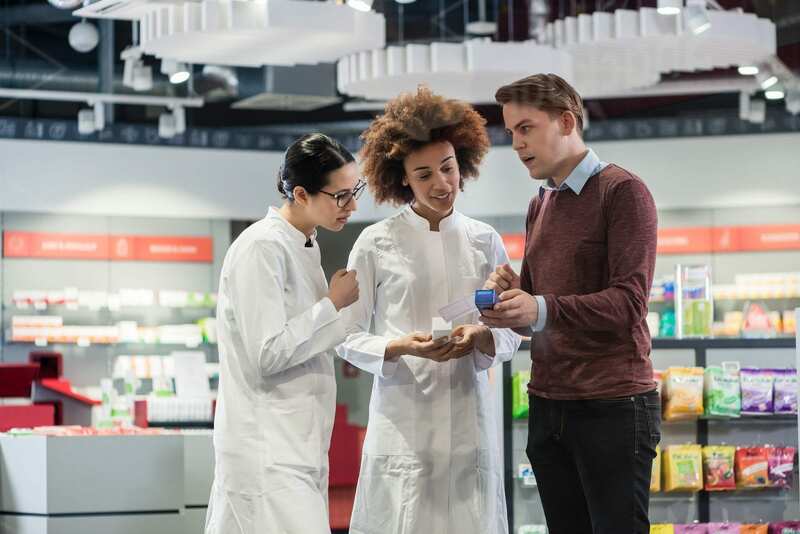 As the market expands the role of pharmacy technicians in the pharmacy operation, certification will become a necessity. Pharmacy technician programs prepare adults for registration with the Minnesota Board of Pharmacy and certification through a national certifying organization such as the Pharmacy Technician Certification Board (PTCB). According to the United States Bureau of Labor Statistics, the projected job outlook for technicians is expected to grow 12% from 2016 to 2026, faster than the average for all occupations. The mean annual wage for technicians in Minnesota was $35,460 in 2016. Hibbing Community College facilitates a Pharmacy Technician AAS degree program to prepare students to assist pharmacists with all aspects of the pharmacy operation. Students will acquire the skills to obtain entry-level employment in various pharmacy settings, obtain Minnesota Board of Pharmacy Registration as a pharmacy technician, and take the PTCB exam to become a Certified Pharmacy Technician. The program is accredited by the American Society of Health-System Pharmacists and the Accreditation Council for Pharmacy Education. Students must complete 60 credit hours to graduate with an AAS degree. The duration of the program is 2 years. Course topics include pharmacy law and ethics, fundamental concepts of pharmacy, pharmaceutical calculations, freshman composition, principles of pharmacy, pharmacy medication technology, medical terminology, integrated anatomy and physiology, and computer applications. Areas of study during the second year include introduction to chemistry, employment skills, general psychology, pharmaceutical calculations II, pharmacotherapy of disease processes, pharmacy sterile products lab, and introduction to communication. The program will include experiential training in a retail and hospital/institutional environment. Submit a completed application and non-refundable application fee of $20. The cost of tuition and fees for residents is $176.97 per credit or $216.37 for non-residents. Fees include student life fee, technology fee, student association fee, and parking fee. Itasca Community College offers a Pharmacy Technician A.A.S. program in collaboration with Hibbing Community College. Students will complete all the courses on Itasca’s campus but will earn the degree from Hibbing Community College. Some travel to HCC may be required each semester. The experiential training in a hospital and retail pharmacy setting will be completed in Grand Rapids. The program is accredited by the American Society of Health-System Pharmacists and the Accreditation Council for Pharmacy Education and emphasizes practice in institutional settings and sterile product processing. Graduates may use their degree for career advancement in the field. Students must register with the Minnesota Board of Pharmacy before commencing the experiential component of the program. Course content includes pharmacy law and ethics, pharmacy medical technology, anatomy and physiology, fundamentals of pharmaceutical calculations, principles, of pharmacy, pharmacotherapy of disease, pharmacy sterile products lab, introduction to speech communication, job readiness, and general psychology. Attend the student orientation on the first day of class. Tuition costs $177.47 per credit for Minnesota residents.